Ceramic candlestick-pomegranate with the special plate. Very exclusive and hard ceramic work.This can be so beautiful gift for everybody. 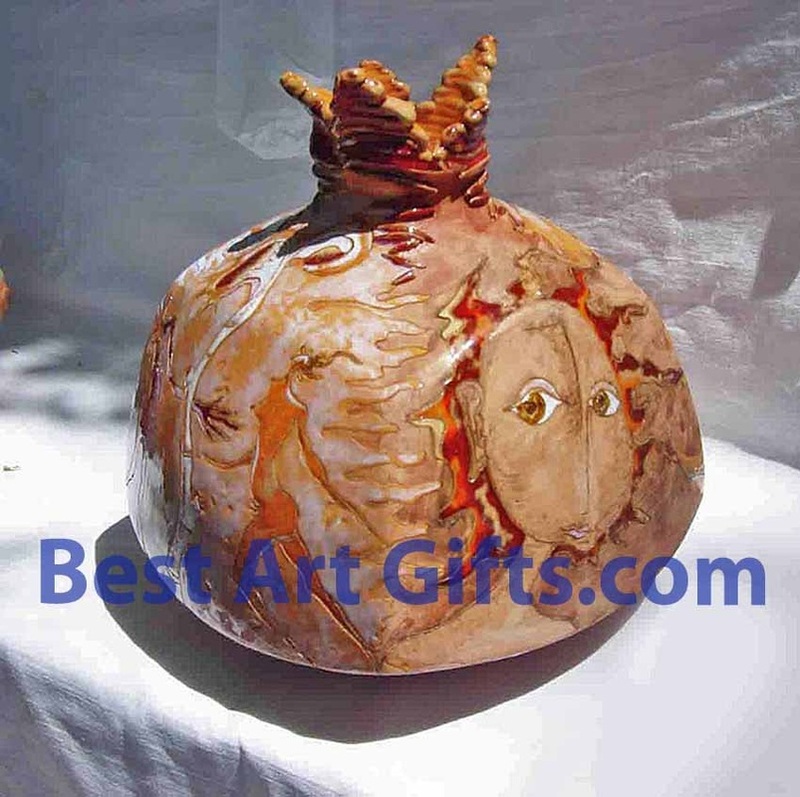 Ceramic containers for spices in pomegranate design. 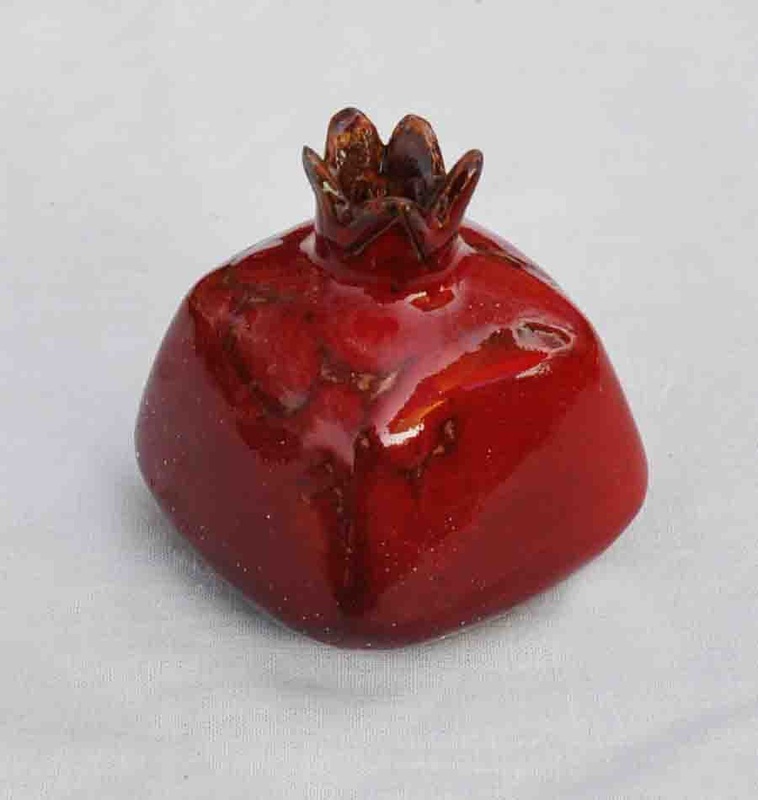 Whole ceramic pomegranate for spices. 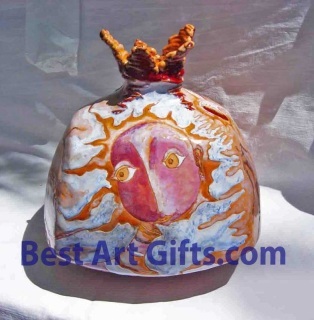 This one also can be very original gift painted in red ceramic glaze. 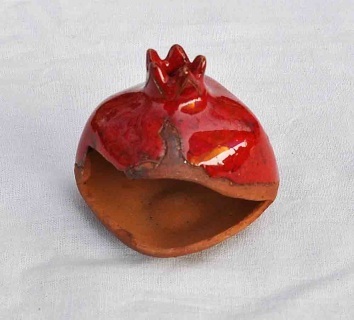 Container for spices with a mouth. 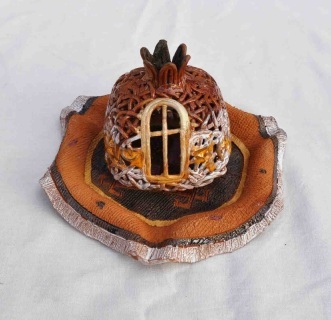 It can be used during dinner on the table for many typs of spices.